The emerging Chinese market has brought the prices of a lot of consumer items to unheard-of levels. There was a time when a quartz powered electronic watch cost nearly $1000, and that was in late 1960s dollars. Now, thanks to a growing economy in Asia and increased factory capacity, highly reliable electronic watches are now available at prices that anyone can afford. Cofuo watches are among the newer brands to come out of China, and they offer attractive, functional timepieces at a price point that anyone would find to be affordable. So affordable, in fact, that you could easily buy two of three of them if you like the styling. Read on for the full Cofuo watches review. The watches are manufactured in China, though most of their models claim that the electronic movements within them are sourced from Japan. The watch face is protected by mineral crystal, which is going to be adequate for most users. Water resistance is modest, at 30 meters. This is the stated water resistance, though the company stresses that you shouldn’t go more than wash your hands or go swimming with them. They do not recommend that you use any of their buttons while the watch is underwater. Cases are made from either stainless steel, or “zinc alloy,” which means it’s a mixture of zinc and …something else. A couple of their digital models have rubber cases. Bands are mostly leather or nylon, though the digital models may have rubber straps. All in all, the build quality is adequate. The movements are all quartz electronic, and most of their models state that the movements are sourced from Japan. Others say that the movement is “imported,” which doesn’t exclude Japan, but is rather vague. Displays are mostly analog, though a couple of sports models have all-digital displays. You won’t find any innovative features here. This is because the company is targeting a rock-bottom price point, and at that level, you’re not going to see any unusual features. These are timepieces with basic functionality, though the digital models of Cofuo watches offer chronograph features. On most of the others, you’ll have two or three hand capabilities and nothing more. 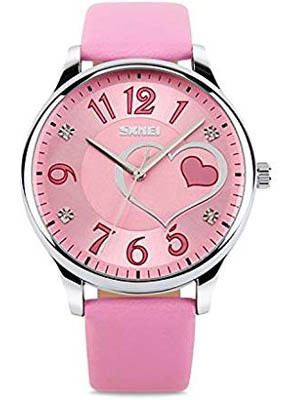 Styling ranges from businesslike to sporty, though they also make a few watches for children (they say they’re suitable for women, as well) that are fun and colorful. Most models offer leather straps that appear to be of decent quality, and a couple offer colorful nylon straps. We have seen relatively few models in the product line; it appears that they may only make between 15-20 different models at the present time and most of them are targeting men. That said, a number of buyers have said that some of the smaller men’s models are perfectly suitable for women to wear. These are great watches for daily wear to work or for casual wear for a day out. Care and maintenance is fairly straightforward. All of their models have quartz movements, so they will likely need little maintenance aside from replacing the battery every few years. You should keep your watch away from extremes of temperature and from strong magnetic fields. It’s best to store them in a cool, dry place. Should you get your watch wet, it’s best to dry it with a soft towel right away. With proper care, your watch should last a few years and offer minimal trouble. We could not find any information about the warranty offered with the purchase of Cofuo watches, even at the manufacturer’s Website. That said, most major retailers will offer a warranty at the time of purchase. Amazon, for instance, offers a two year warranty on all of the watches that they sell. With electronic watches, most problems occur shortly after purchase if they’re going to occur at all, so in the unlikely event that you have a problem it will almost certainly come within the warranty period. 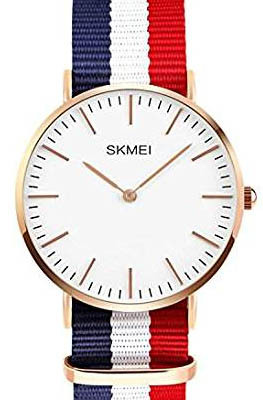 This won’t come as a surprise, but these watches are quite inexpensive, as is the case with most current brands from China. In the case of this particular brand, most models are targeting the sub-$20 price point, and we’ve seen them discounted substantially even from that. That makes Cofuo watches among the most affordable brands on the market. At these prices, you can buy two or three of them in different styles. This brand is most likely found for sale at online retailers, rather than at brick and mortar stores. If you do find them for sale in stores, you’re more likely to find them at discount stores than at major department stores or jewelers. They are also available at a number of retailers online, and we’ve seem them discounted fairly heavily here and there. This company out to redesign the wristwatch and they’re not going to set Baselworld on fire by introducing cutting edge mechanical complications or exotic materials in their case design. On the other hand, most people who are shopping for watches aren’t interested in such things. 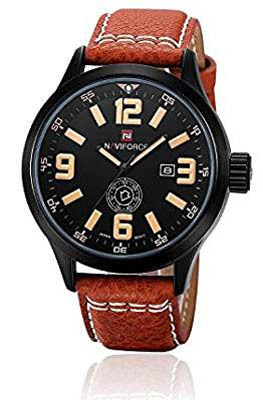 They’re interested in a good looking watch at an affordable price point that’s going to keep good time and look good with whatever they happen to be wearing on that particular day. In that regard, Cofuo watches work just fine. The build quality is adequate, they have highly reliable Japanese quartz movements, and they’re moderately water resistant. They’re certainly affordable, and that means that absolutely anyone is potentially a customer. That’s not something that you can say for Bvlgari or Chopard, so that gives Cofuo a leg up in that regard. They’re nice looking watches at a rock-bottom price point. If you’re looking for an inexpensive timepiece that is suitable for daily wear, you’ll likely find Cofuo watches to suit your taste.